With London Fashion Week fast approaching, I thought it would be a good idea to get myself some business cards ready. It just seems like the ideal must have when networking that way all those lovely people that I meet will remember me and have my contact details should they wish to get in touch. 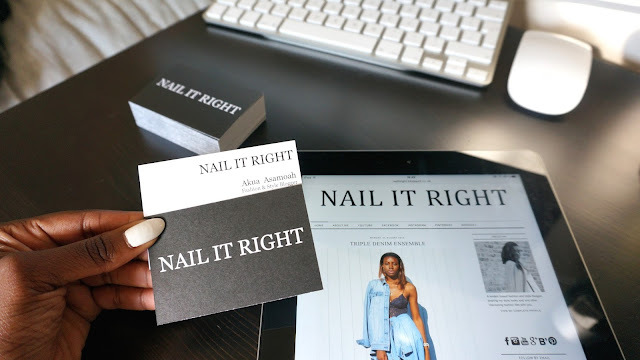 Having the numerous Vista Prints adverts on TV, they were my first choice and after a little bit of research on my part I decide to use them to create my very first set of business cards. Given that it was my first time using them and not being sure on what to expect from them, I went for the standard package available which was the double sided matte finish. 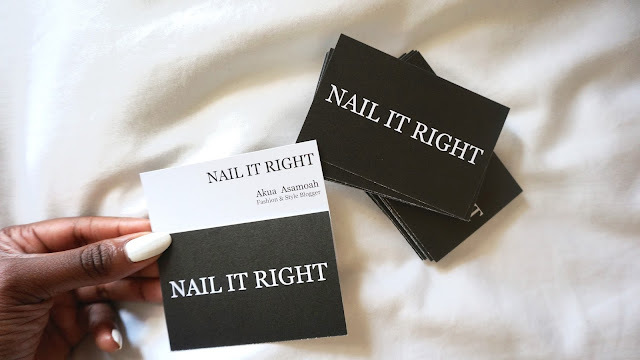 Although I can manage with the quality of the cards I have received, I do think that the next time I order from Vista Print that I will be opting for the deluxe package for a more 'sturdier' finish as they say on their website. 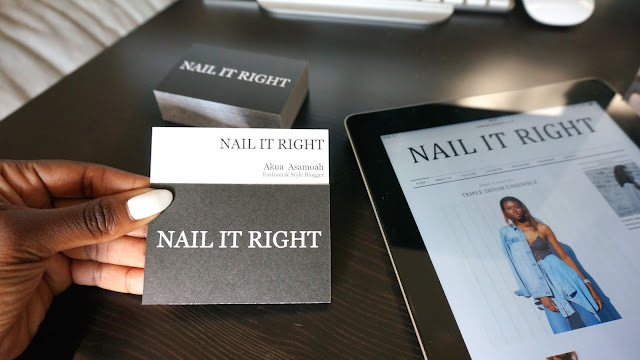 What are your thoughts on the NAIL IT RIGHT business card?